Will Smith stars as Chris Gardner in this amazing portrayal of a man dedicated to providing a better life for him and his son. When he invests his savings in bone density scanners to sell to doctor’s offices, the added financial stress causes his wife to leave. Things go from bad to worse as the government takes his last $600 for taxes. With no rent Gardner has to drag his son from cheap hotel rooms to a train station bathroom and a local homeless shelter. Gardner sees an advertisement for an internship at Dean Witter, one intern would be rewarded with a job as a stock broker. 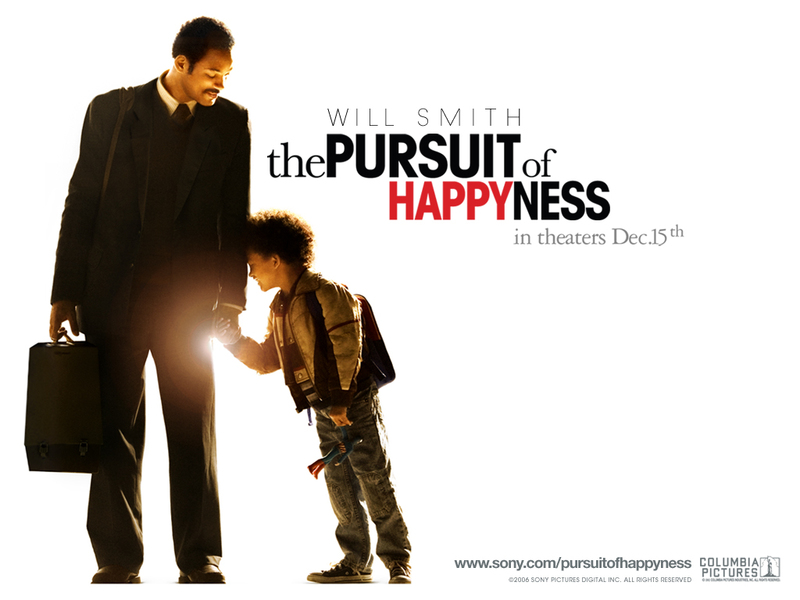 The Pursuit of Happyness traces one man’s hardships as he refuses to give up. He doesn’t seek handouts, he tries harder. He learns a job he doesn’t know and becomes good at it. In the end he wins the position and a better life for himself and his son.